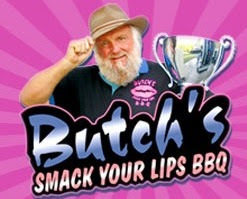 Just a quick post to announce the THREE winners of the Butch's Smack Your Lips BBQ winners! Athena said: I'm a fan of yours on FB. diehard247 said: I learned Butch beat Bobby Flay in a BBQ throwdown. Emails have been sent to all three winners and have 48 hours to contact me to claim their prizes. Thanks to everyone that entered and of course, a big THANK YOU to our sponsor, Butch's Smack Your Lips BBQ! Hey Alison! I will be putting you in the feature spot of my new carnival...Turning the Table Thursday. Please send me an email with a link to what you'd like to link up on Thursday and a paragraph about you and/or your blog.